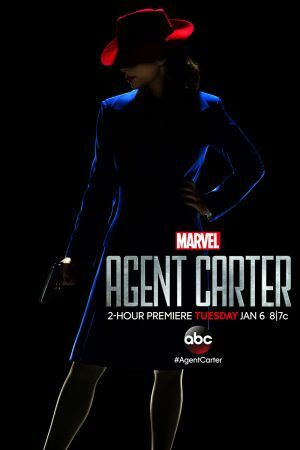 Marvel’s Agent Carter premieres on Tuesday, January 6 at 8 PM ET on ABC in a 2-hour special event, and now we know what those episodes will be about. The first episode is titled “Now is Not the End,” and Peggy is contacted by old acquaintance Howard Stark (Dominic Cooper, Captain America: The First Avenger) when he is framed for unleashing his deadliest weapons and can trust no one else. To help Peggy clear Stark’s name, he insists his butler, Edwin Jarvis (James D’Arcy), be at her beck and call–whether she likes it or not. But the risk is great: If caught, Agent Carter (Hayley Atwell) could be targeted as a traitor and spend the rest of her days in prison…or worse. “Now is Not the End” was written by Christopher Markus & Stephen McFeely and directed by Louis D’Esposito. In the episode “Bridge and Tunnel,” Howard Stark’s deadliest weapon has fallen into enemy hands, and only Agent Carter can recover it. But can she do so before her undercover mission is discovered by SSR Chief Dooley (Shea Whigham) and Agent Thompson (Chad Michael Murray)? “Bridge and Tunnel” was written by Eric Pearson and directed by Captain America: The Winter Soldier co-director Joseph Russo. CBTVB: Will These Characters Appear in Agent Carter?